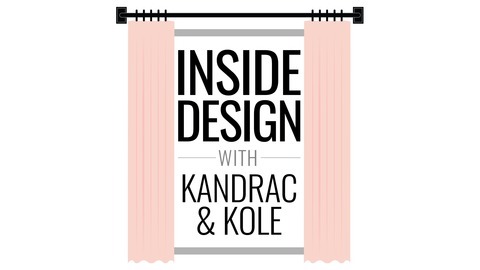 A lively conversation about the latest trends, travels to industry events, current design projects (the good, the bad and the ugly), do’s and don’ts, product recommendations and more. Just a warning - this is going to be fun and not too serious! After all, they do still have an interior design business running at full speed. 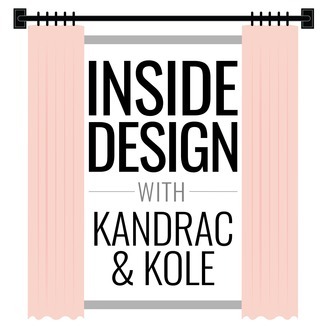 Hosted by Joann Kandrac and Kelly Kole, two nationally published Atlanta Interior Designers with a wealth of information to share and stories to tell about the interior design world. We are so excited to be back from High Point, North Carolina where we spent 3 days at the International Home Furnishings Market, the the largest home furnishings trade show in the world. a) Seminars – Social Media, Product Licensing, business practices b) Showroom breakfasts, lunches and dinners to lure buyers in c) Showroom parties – live music, i.e. meatballs and moonshine d) Style Spotters – follow them as they are posting about the latest trends e) Design Bloggers Tour – Bloggers that are sponsored by showrooms to share their insights and discoveries from market. a) Sit on as many sofas and chairs as possible so we are 100% confident of comfort for our clients. b) Look closely at the quality and finishes of case goods. c) Take thousands of photos and copious notes to remember our favorites. d) View new products and trends. e) Find new vendors and maintain relationships with our current ones f) Attend events and support design colleagues who are launching collections or speaking on panels g) Check out all of the beautiful displays and vignettes for stylizing inspiration h) Have fun!